Paris Nord 2 Mobility Hub: a reception centre to improve your mobility. The Mobility Hub is a hub to welcome and inform travellers (bus and rail stations), to rent/sell electric bikes, and to maintain/sell the latter. 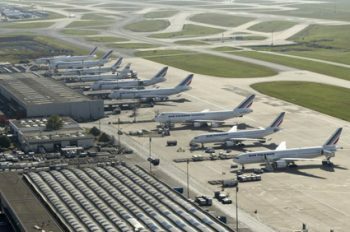 At the heart of the Multi-company Movement Plan of Paris Nord 2, it also has the mission of helping Park employees improve their mobility. 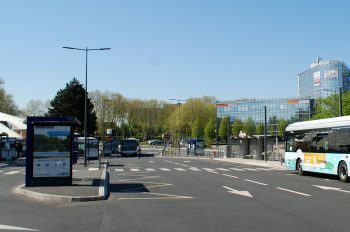 The Mobility Hub is located on the forecourt of the RER station opposite the Park’s Management Station. Don’t hesitate to drop by with any questions. The park has a total of 12 km of pedestrian walkways. 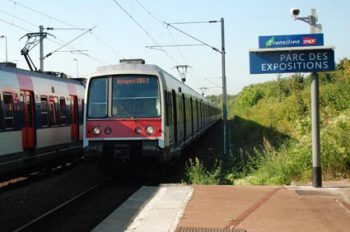 2 of its terminals are accessible via the RER line B By road, the Park is directly linked to freight zones and air terminals. 3 terminals, 4 runways, 6 freight stations. Located less than 10 km from the park, Le Bourget is accessible via the A1 and the RER B. 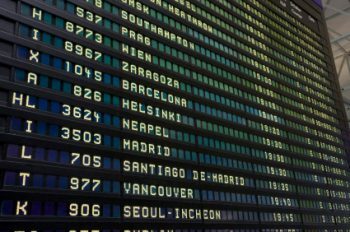 3 runways, over 100,00 passengers per year. The “Taxi on call” service is available at 01 48 63 10 08. Quick, efficient, and available 24/7, this service will pick you up directly at the exit to the air terminal at the “Pro” parking space. 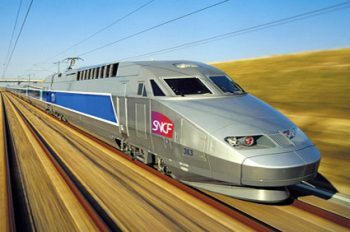 10 minutes away from Paris Nord 2, the station “Aéroport CDG 2 TGV” is served by the major high-speed, national and European train lines (Eurostar, Thalys, TGV to Lille, Lyon, Marseille, Strasbourg, etc.) and by the local transport network (CDGVAL, RER B, bus lines). Click here to download the plan of the RER B.
Paris Nord 2 is served by the RER B, stop “Parc des Expositions”. D’ici 2024, le pôle gare “Parc des Expositions” sera entièrement réaménagé pour accueillir la ligne 17 du futur métro automatique, le CDG Express et le “Barreau de Gonesse”. Cliquez ici pour télécharger le plan des lignes de Bus sur le Parc. Téléchargez les plans de ligne et leur fiche horaire en cliquant sur le numéro de ligne. To better distinguish the direction of the bus, we differentiate between the 640 Jaune [Yellow] (exterior) and the 640 Vert [Green] (interior). Paris Nord 2 is located at the heart of a remarkably dense road network. The national and departmental roads enable you to easily access many residential zones of the surrounding areas, as well as the A1 et A104 motorways, which link Paris Nord 2 directly with Paris, Lille, and Brussels. The electric bike service is being initiated in the business park Paris Nord 2. 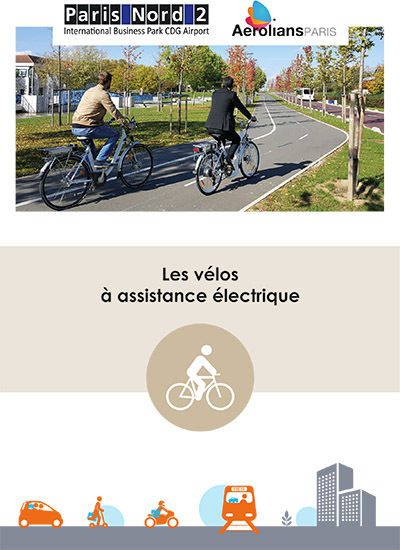 After having realised the cycling trails and promoted the creation of links with adjacent municipalities, this mobility service facilitates both internal transport (to and from the points of interest in the parks) and home-work travel of the company employees of Paris Nord 2. This approach coincides with the regional policy of eco-mobility and innovation by promoting Greater Paris mobility aiming to favour the modal shift, to improve accessibility to new transport methods and to reduce the environmental footprint of transport. 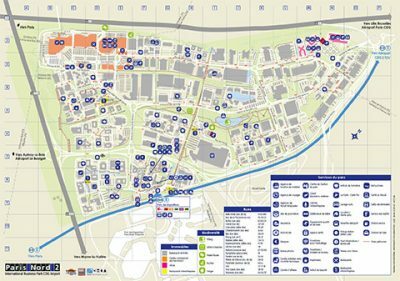 You’ll also find the reception of this service at the Mobility Hub, near the building of the railway station RER B Parc des Expositions, which also contains the services of assistance with mobility, traveller information, and a bike repair workshop and parking space. You want to visit the park?